Mercedes pickup won't be a "fat cowboy truck for North America"
Mercedes-Benz Vans boss Volker Mornhinweg has revealed the company's upcoming pickup won't be a "fat cowboy truck for North America." Speaking to Car Magazine, Mornhinweg said the truck won't go head-to-head with Ford, General Motors and Ram as they already own 90% of the full-size truck market and any new competitor would face an "arduous uphill battle." 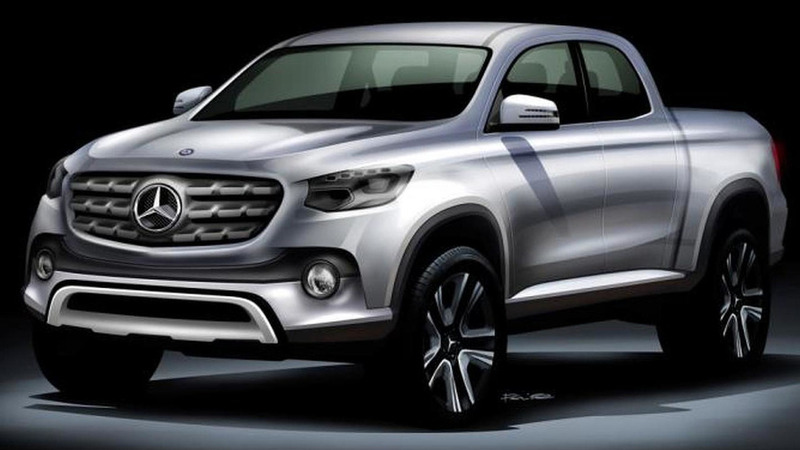 Instead, Mercedes will launch a mid-size pickup that is loosely based on the Nissan NP300 / Navara. The axles, frame and body structure will reportedly carryover but the Mercedes variant will feature unique styling as well as brand-specific engines. Speaking of the latter, powertrain options are expected to include four- and six-cylinder petrol and diesel units which can be connected to a six-speed manual or a seven-speed automatic transmission. Mornhinweg also confirmed the truck will be offered with three equipment levels tentatively known as "workhorse, dual use and leisure and family." He also said the model will have excellent ergonomics, a spacious second row and high-quality materials that "exceed typical pickup standards." While there's been some debate over whether or not the truck will be offered in the United States, Mercedes is reportedly interested in Nissan's Aguascalientes factory because it operates under the North American Free Trade Agreement (NAFTA). This could enable the company to bring the model to the United States while eschewing costly import taxes.